We strive to provide excellent legal services to our clients using intelligence, creativity, & experience. Each person, in our firm, is charged with providing the high level of service that he or she expects when on the receiving end of professional services. We represent individuals, businesses & non-profits filing for bankruptcy in the US Bankruptcy Court for the Eastern District of California, which covers most of Northern California. Many of our clients live in El Dorado, Placer, Sacramento, San Joaquin or Yolo County. 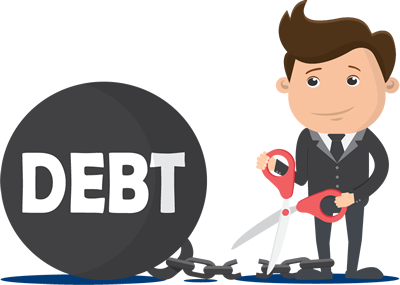 Since 1995, Wolff & Wolff has offered aggressive debt relief to our clients. Get control of your financial affairs by seeing an attorney for an initial consultation to learn which type of bankruptcy will help put you or your business in control of your finances. You don’t have to let debt cripple your life. Both debtors and creditors, involved in a bankruptcy case, can be sued for many different reasons. Our firm can represent you if you are a plaintiff or the defendant in a lawsuit. Some clients just need a payment arrangement with a creditor. We can help. We offer notary public service for your convenience.